The Latin American studies minor explores the religion, politics, economics and cultures of Latin American societies. While taking multidisciplinary classes on broad topics, you also will encounter one specific culture firsthand and gain in-depth understanding of a major geopolitical region through the required field experience in a Latin American country. You will also work to achieve proficiency in the Spanish language. Why study Latin American studies at Gordon? Deepening your global understanding is a crucial part of your liberal arts education—and because we are committed to global exposure as a crucial component of learning, your financial aid package will apply to any Gordon-approved study abroad program, including the Latin American Studies Program in Costa Rica (just one of the field experience options).  During semesters when you study on campus, Gordon’s location in the multicultural Greater Boston area offers opportunities for involvement in local Spanish-speaking communities and church congregations. What careers can I pursue with a minor in Latin American studies? Participate in a service-learning trip to places like the Dominican Republic, Mexico and Nicaragua. If you want to improve your Spanish but do not plan to major in the language, consider joining the Spanish Club and attending various events it hosts throughout the year, including a weekly Spanish language lunch table. As a Latin American Studies minor, you will immerse yourself in Latin American culture and the Spanish language through a semester-long study abroad experience. Many students participate in the Latin American Studies Program based in San José, Costa Rica. The more proficient you are in Spanish, the deeper you will be able to take your Latin American explorations—so consider pursuing your Latin American studies minor alongside a major in Spanish. Other majors that combine particularly well with the program include history, political science, international affairs, sociology, economics, biology and social work.